Keep those pesky pasties in place! 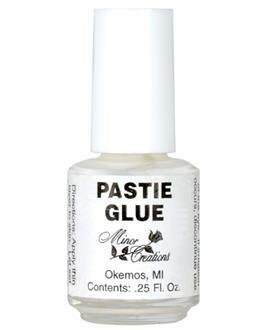 Just a thin layer of Minor Creations Pastie Glue secures your cover up. Glass bottle holds .25 oz. of liquid glue. Glue brush is secured to inside of twist-off lid. 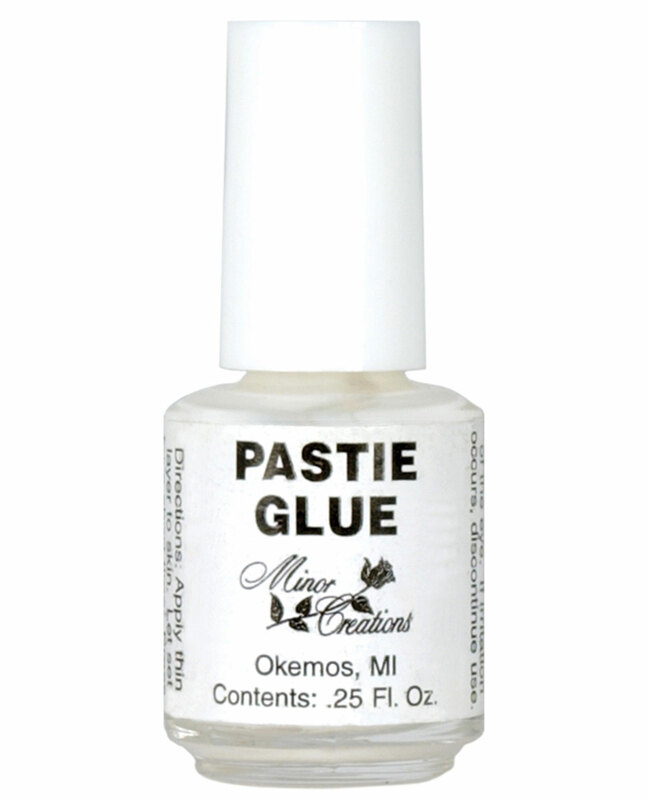 Pick up Minor Creations Pastie Glue and twirl away!